There are so many things we miss about being a child, and having time to play with toys all day; every day is definitely one of those things. In fact, we think we miss toys more than mud pies – and that really is saying something! Whether you are 15 or 55, there’s no denying the fact that toys have changed over the course of your lifetime, but that doesn’t mean they have changed completely. In fact, archeologists and history experts alike have spent their whole careers looking into the past, and checking out what our ancestors got up to when they were kids. Amazingly, it seems as if they weren’t too different from us. Children from as far back as 3010 BCE were playing with tiny carts that they could push around, they were whistling with homemade bird whistles, and they were even climbing trees with their toy monkeys. As the years went by, the ancient Egyptians welcomed real-life dolls complete with hair and moveable limbs into their pyramids, but that’s just the start. As if that wasn’t cool enough, the ancient Greeks are credited for creating the very first puzzle… And all of these toys have since made their way into modern life. However, as technology has advanced, so have our toys, and they are slightly different to how they used to be. One of the main reasons for this is because toy trends change all the time. One day a toy is in, and the next it’s out. It’s all about catching the toy wave as it happens, and sticking it on your Christmas list before it goes out of style. So, have you ever wondered what was the most popular toy people were obsessed with the year you were born? In 1950, Fisher Price released their range of Little People toys that were specifically designed for children aged 6 months to 3 years – but it’s fair to say that we tried to sneak a few extra years into our playing experience. We just wanted to extend our family, that’s all. 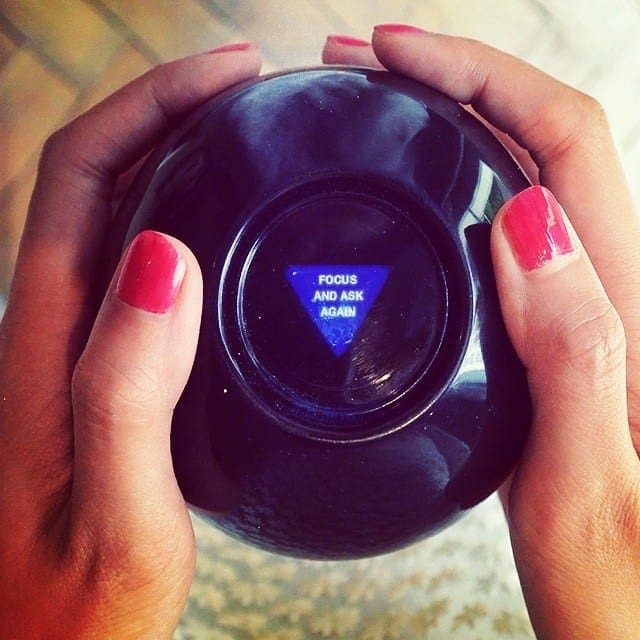 Although we all wished we could be fortune tellers for the day, the Magic 8-Ball normally didn’t tell us what we wanted to hear. Yet, we still gave it shake after shake until it did eventually give us the right answer. That’s how it worked, right? Let’s be honest; if you haven’t allowed yourself the chance to watch a slinky fall from the top of the stairs to the bottom of the stairs, you haven’t really been living. Sure, it may just be a glorified spring from the 1950s, but it was – and still is – a whole load of fun. 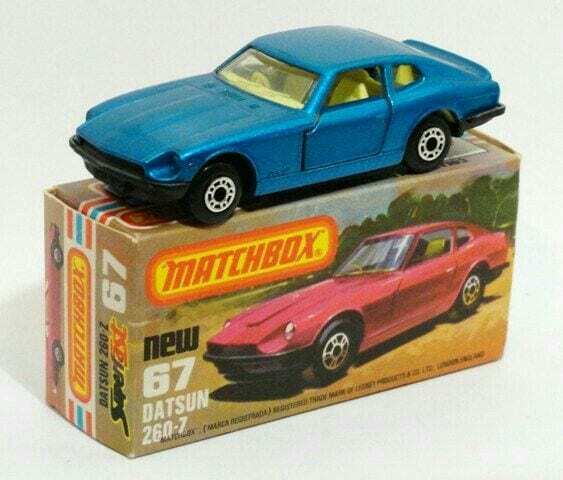 In 1953, Matchbox Cars gave us exactly what they advertised on the box. They were toy cars the size of matchboxes! Although they were only a tiny replica, we still felt just as cool driving these bad boys around the living room than we would the real thing. This epic board game was actually created in 1945 by Eleanor Abbott but rose to fame in 1954 as the game of the year. 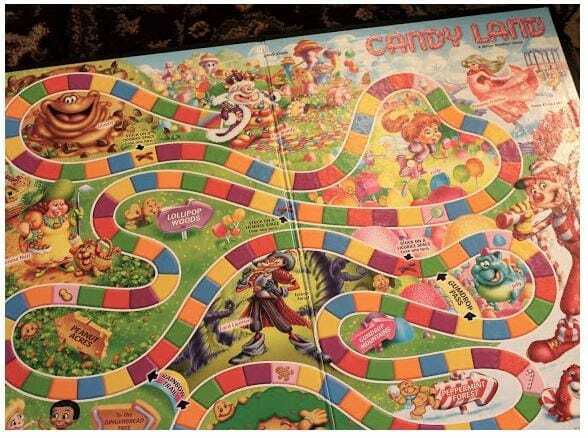 With sugary goodness all the way around the board, this game was bound to give anyone a sweet tooth. So, naturally, we fell completely in love with it. 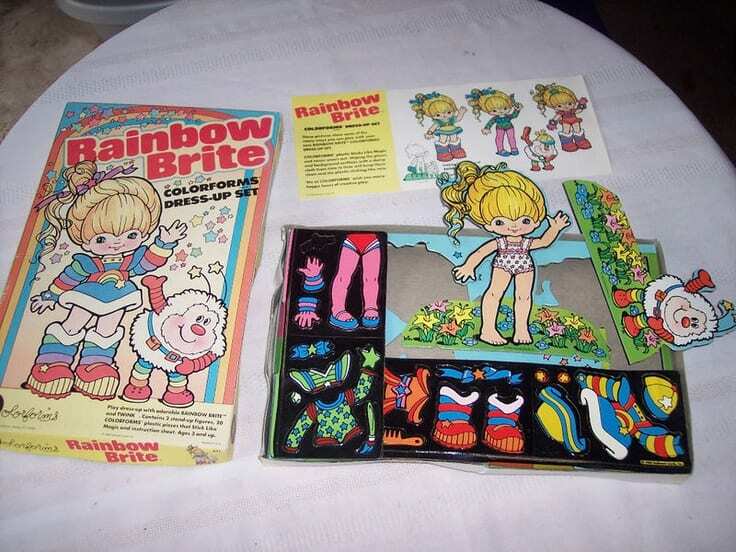 Before every household was blessed with color TV and cable, we had to make do with Colorforms – and boy were they fun! With colorful vinyl stickers that you could peel off and on the pages of these books, you could create your very own moving story with just a few quick moments. We’re all familiar with the Mr. Potato Head from the family comedy, Toy Story – but the OG Mr. 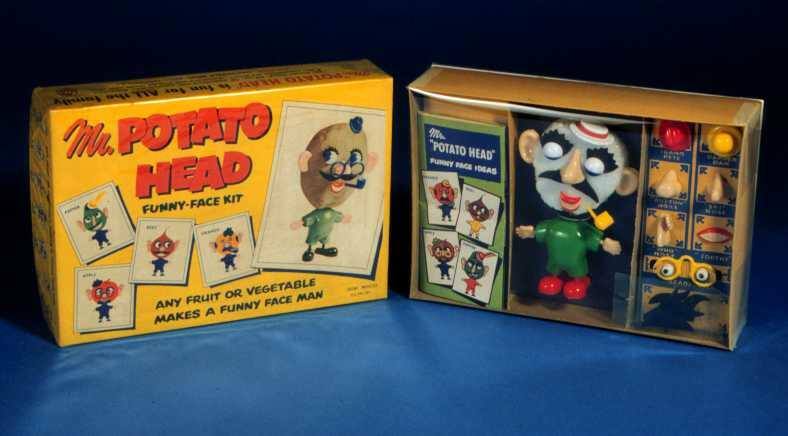 Potato Head was slightly different. In fact, this guy was actually first made out of a potato! It was then down to the child to add any facial embellishments. A little like plastic surgery. 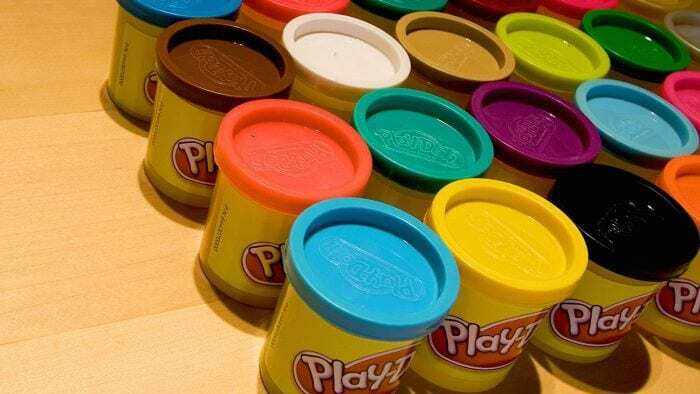 In 1957, the world was introduced to the wonder that is Play-Doh, and we haven’t looked back since. Amazingly, a whopping 100 million pots of the stuff are sold every single year, and the world just can’t get enough of making epic Play-Doh figures that kinda resemble human beings. 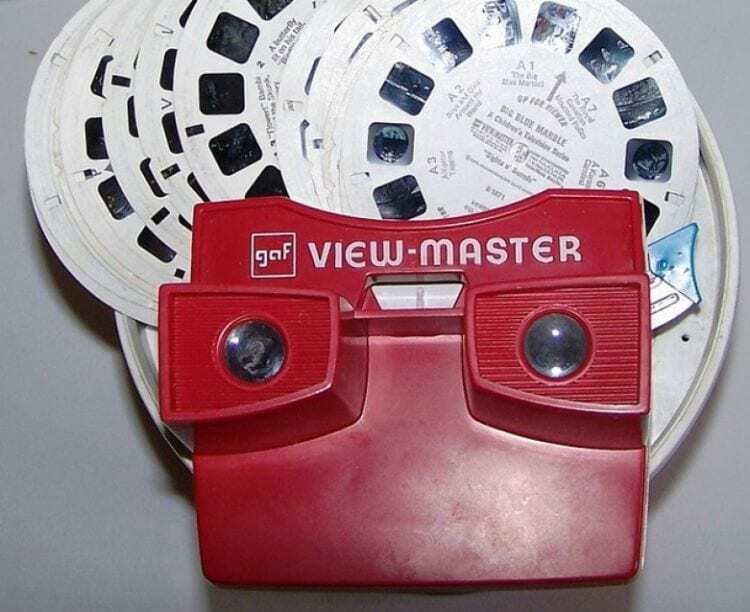 The year of 1958 was the year of escape because the View Master allowed the wearer to escape to a new land of fairies and unicorns. With your own personal slideshow, it was down to you to determine the speed of your story and choose which story you wanted to unfold before your very eyes. If you’ve ever wondered why you’re so good at mowing the lawn, it’s probably because you played with one of these babies when you were a kid. 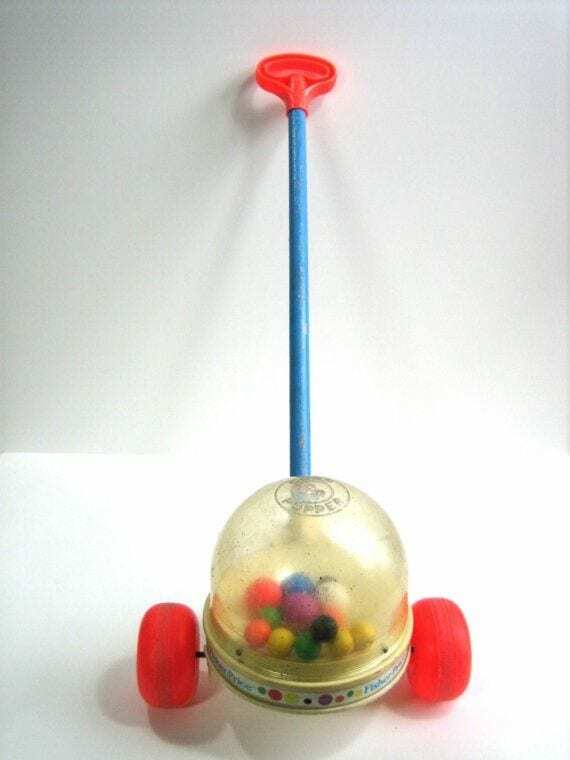 You would walk around with it in your hands and watch as the multicolored balls popped in the center. It was pretty darn hypnotic. Where would we be today without Barbie in our lives? We have absolutely no idea. 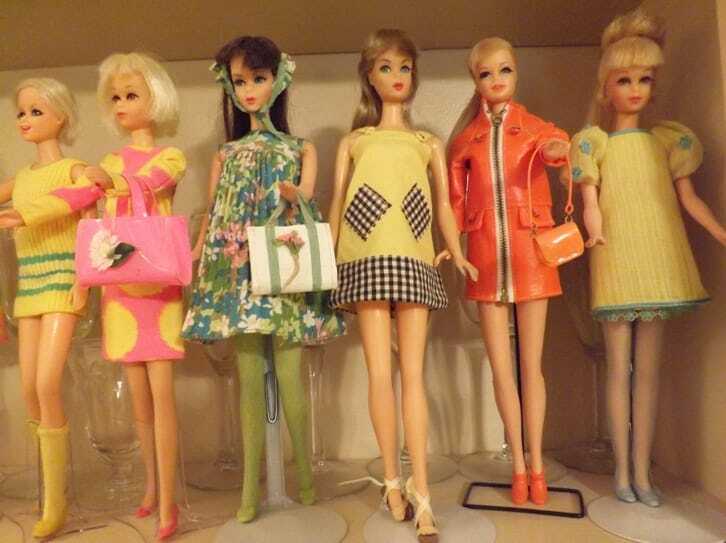 Amazingly, the Barbie doll is now nearly 60 years old – and it’s fair to say that these ladies look a little different nowadays. For starters, they now have Ken by their side! During World War II, the United States military science team stumbled upon this mystery concoction when experimenting with rubber, and it soon became a staple in every household in the world. 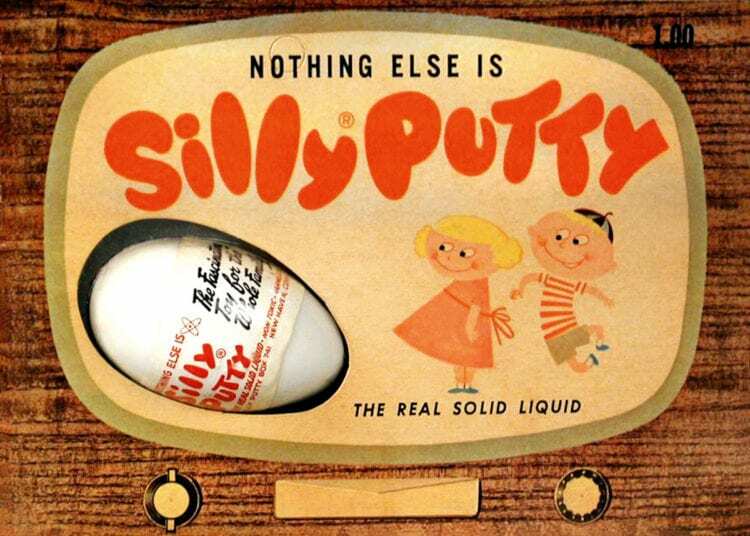 This Silly Putty had the ability to be squished, pulled, prodded and more, and it was super fun. 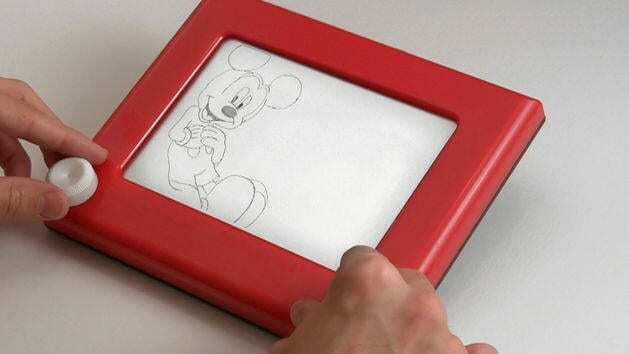 In 1960, Etch A Sketch allowed us to ditch the pen and pencil and try our hand at another type of art. Just two years after its initial release, the Etch A Sketch had become so popular it became the toy of the year – even though we could barely draw a straight line without it flicking out all over the place. 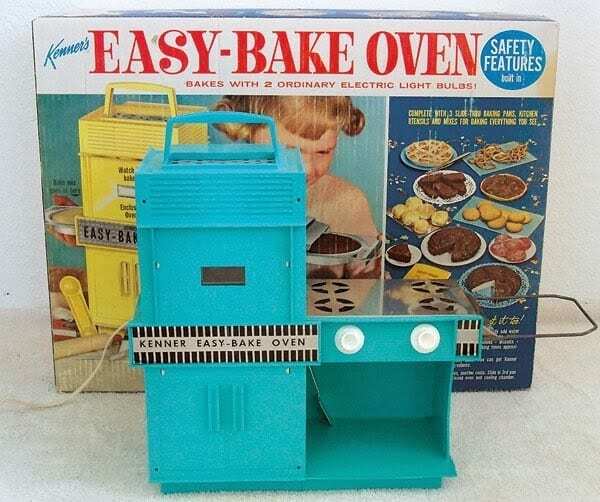 Although we loved to bake cakes with our moms when we were kids, the game changed forever in 1963 when we were given the opportunity to bake in our own miniature oven. 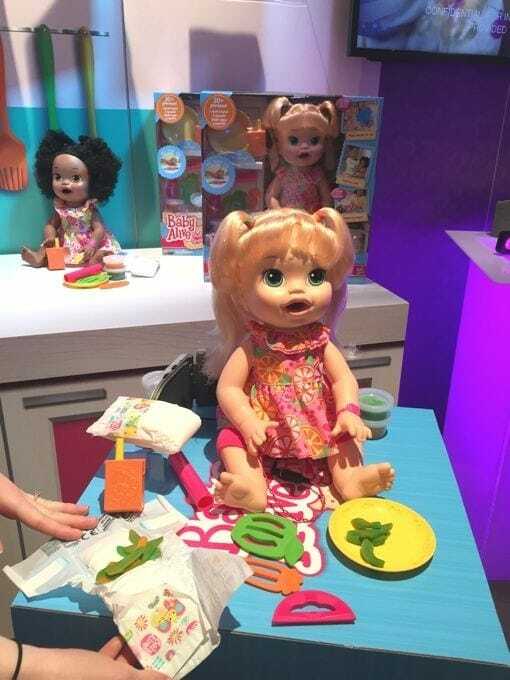 The Easy-Bake Oven normally came with ready-to-bake packets that would be cooked in minutes. It was absolutely glorious. I mean, who wasn’t going to buy a board game about The Beatles? This was a sell-out before it was even released! 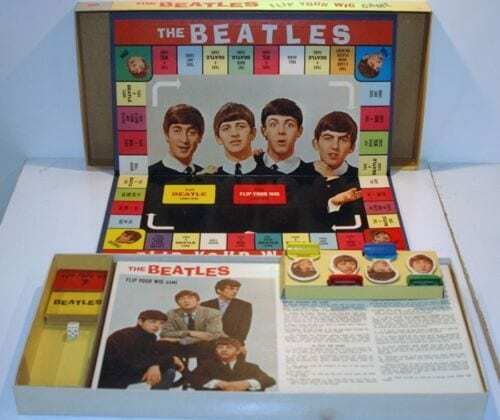 The aim of this game was to get one of your Beatles to the end first so that they would be the winner of a hit record. There weren’t really any wigs involved. Although Barbie was set to take over the 1960s with her tiny waist and smile, Chatty Cathy soon came in and talked Barbie out of it. Literally. This slightly-creepy-but-kinda-cool doll became one of the most popular dolls of this decade and was the pride and joy of children everywhere. 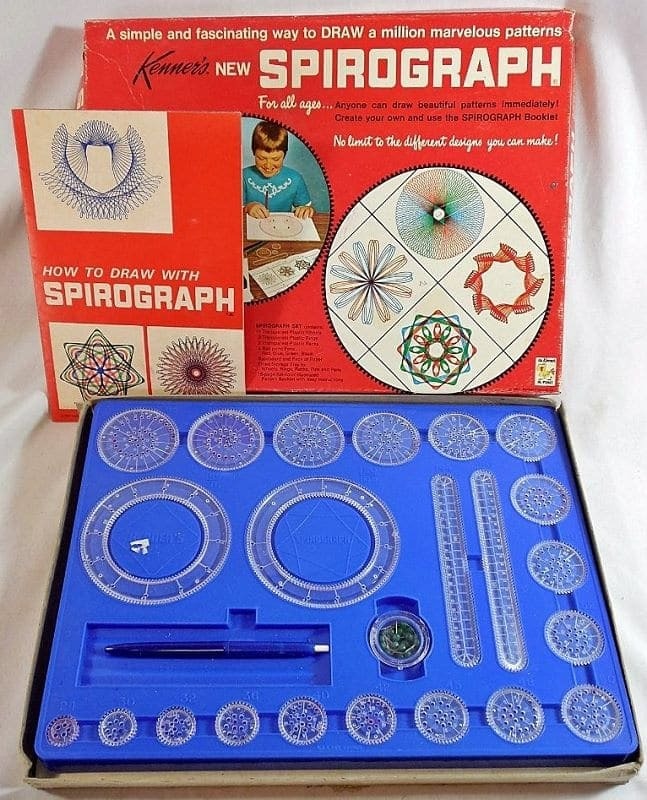 With eclectic shapes, colorful pens, and swirling motions, the Spirograph was the perfect addition to the ‘90s, and it came as no surprise to learn that it was one of the most popular toys of the era. All you had to do was pop in your pencil, move the plastic around a bit, and you were basically the next Andy Warhol. Have you ever wanted to hit someone in the face but knew you loved them too much to do so? 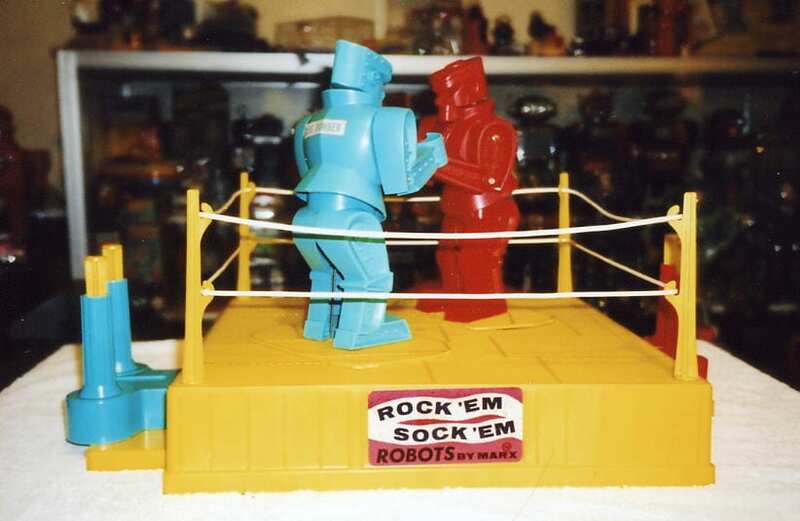 Well, the Rock-em, Sock-em Robots gave you the perfect opportunity to let out your frustrations on your siblings, as you aim of the game was to literally hit your opponent. It’s a win-win situation. Ahhh, the game that has caused so many family rifts! 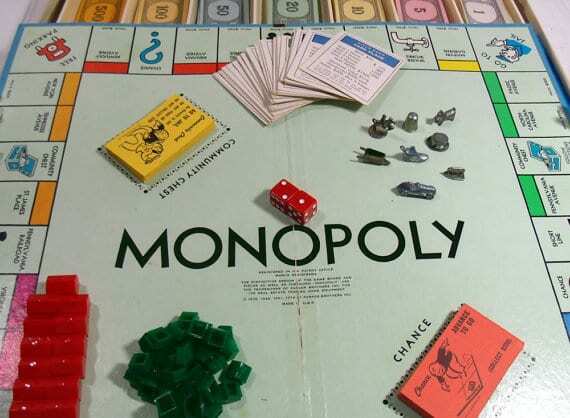 Monopoly was actually first released in the 1930s but rose to fame in 1968 as one of the most popular games of the year. Although the premise might have been simple, rolling the dice often had some disastrous consequences. Especially at Park Lane. 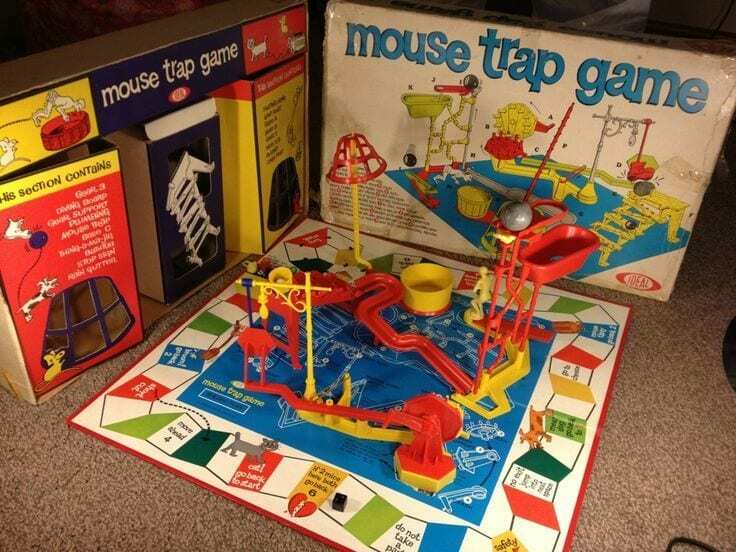 While it may seem like an odd concept to actually trap mice for the sake of entertainment, Mouse Trap proved to be a hugely popular board game in 1969. With plastic pieces and a make-your-own board game style, it was fun for all of the family. Just not the mouse. 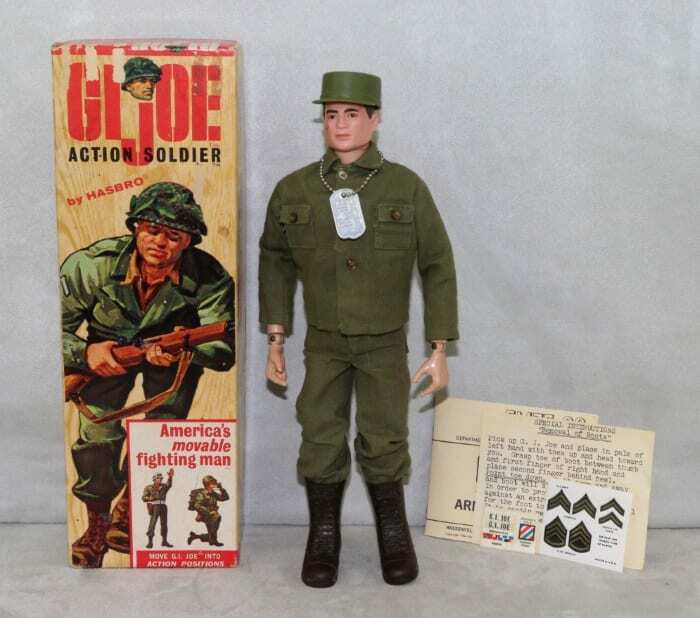 There was the Barbie, so there just had to be a G.I Joe! In 1970, this incredible line of male soldiers made their way into the world, and have since taken the world by storm. In fact, they were the reason we called them “action figures” in the first place. Well, we’ll be darned. Weebles were the kind of toys that didn’t really do much – but you weren’t anyone in the preschool sandpit if you didn’t have them in your grubby pockets. 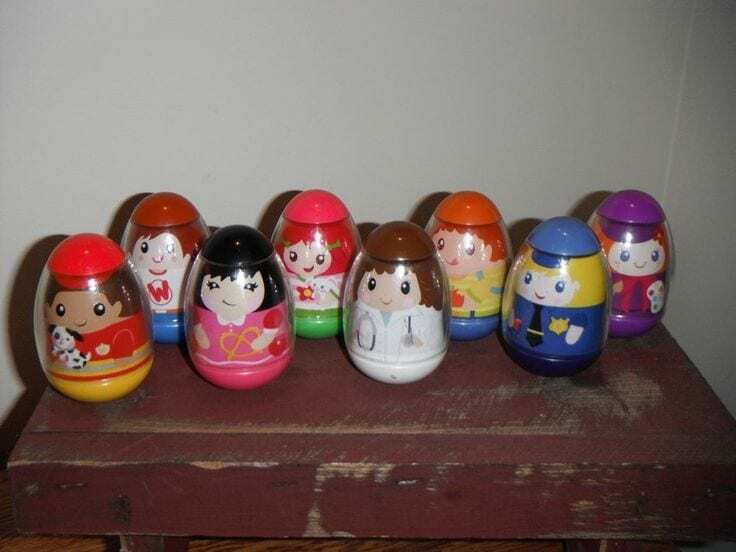 While they did wobble, Weebles never fell over. No matter how hard you tried! Which was actually quite a lot. 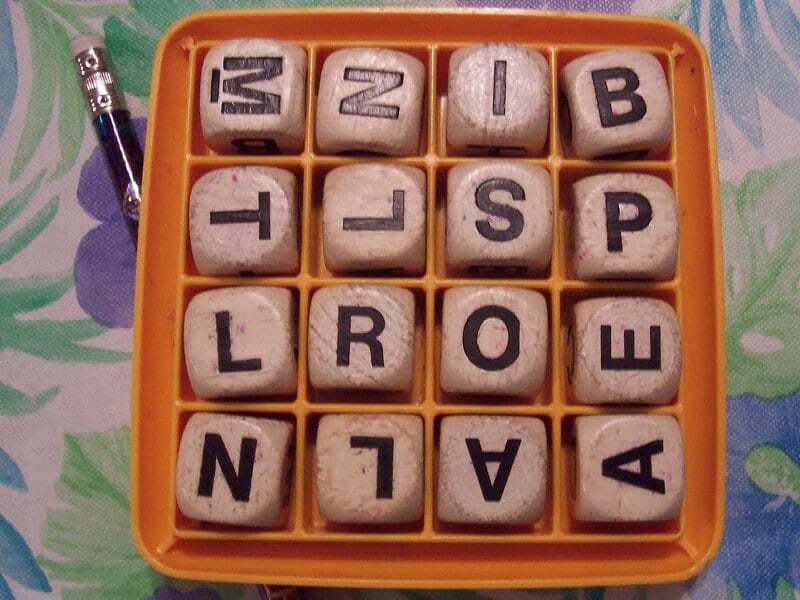 Word games aren’t always popular, but Boggle caused our minds to boggle in 1972 when it was first released. We’re not sure whether it’s the stress of the pressure of the timer, but this one always gets our gears revving. It also makes us super competitive. 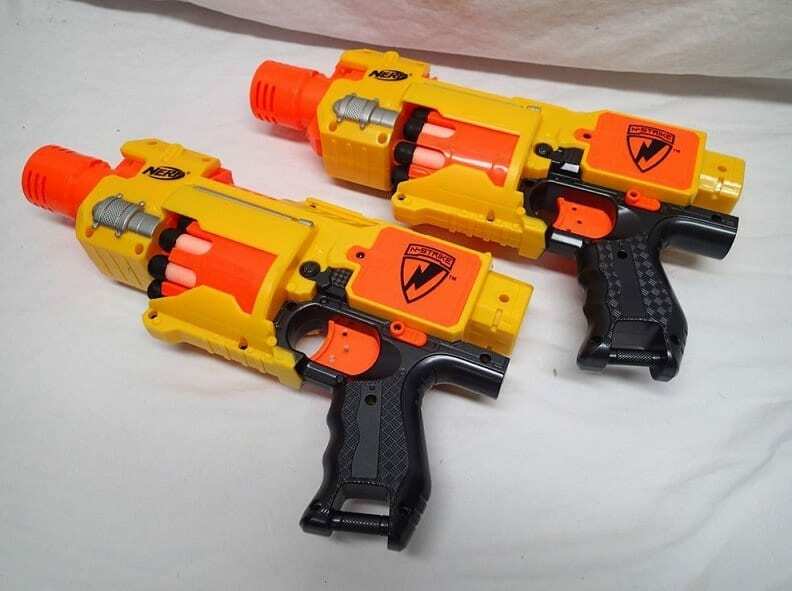 In 1973, NERF gave us the perfect opportunity to enact payback on our little sister for stealing our ice cream – thanks to their genius NERF Guns. With foam pellets that didn’t actually hurt, your sister always found a way to break down in tears and tattle-tale to your mommy. Every. Single. Time. 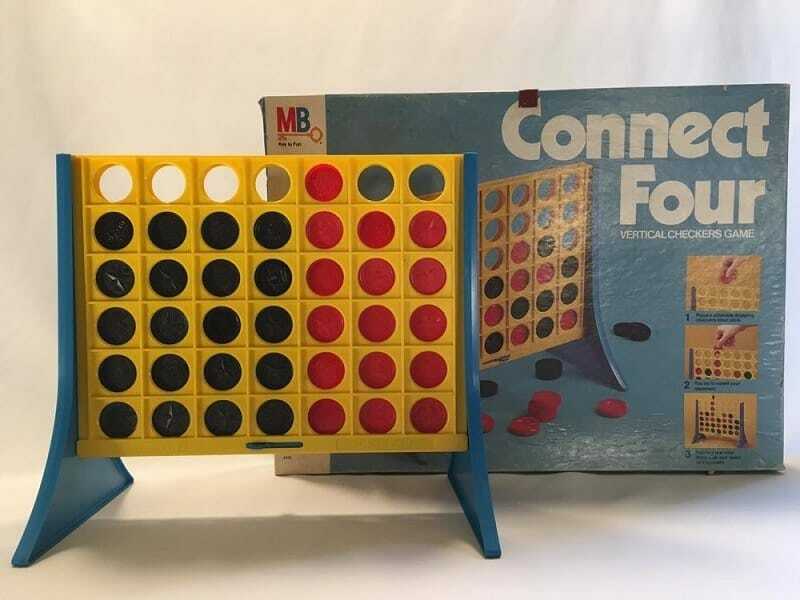 When Connect Four was first released, the consensus was not overwhelming. It’s pretty boring, right? Well, you might think that was the case – but as soon as the people of 1974 started playing the game, they realized just how addictive it really was. They also realized that they would never be happy until they won. Yes, this really was a thing! 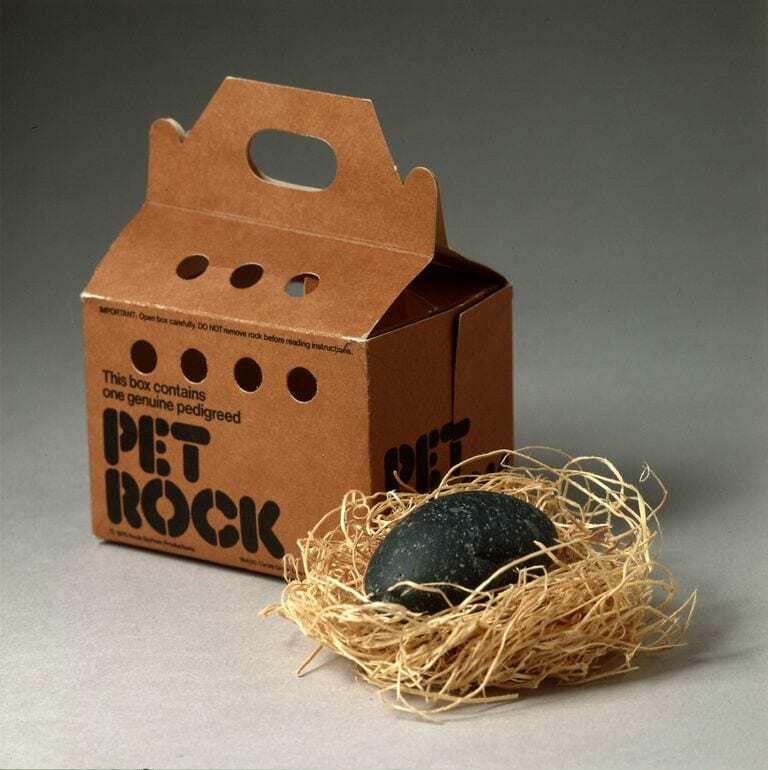 If you were the kind of ‘70s kid whose mom and dad never allowed them a dog, a cat, or even a hamster, there’s a high chance that you learned your parenting ways when you took on the responsibility of your pet rock. Luckily, there wasn’t much too it. 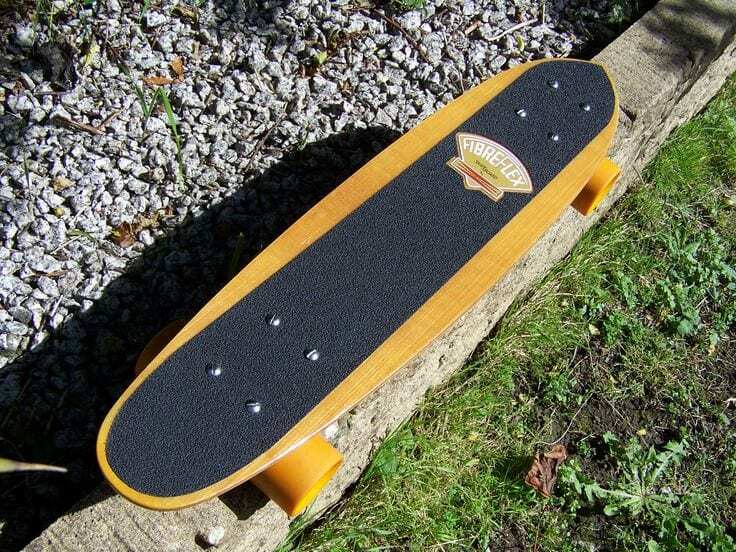 Skateboards were actually first invented in the 1950s, but they only really came into the big wide world of popular culture in 1976 – and they came in hard! Within a few months, almost everyone on your street would have had a skateboard, because four wheels were always better than none. 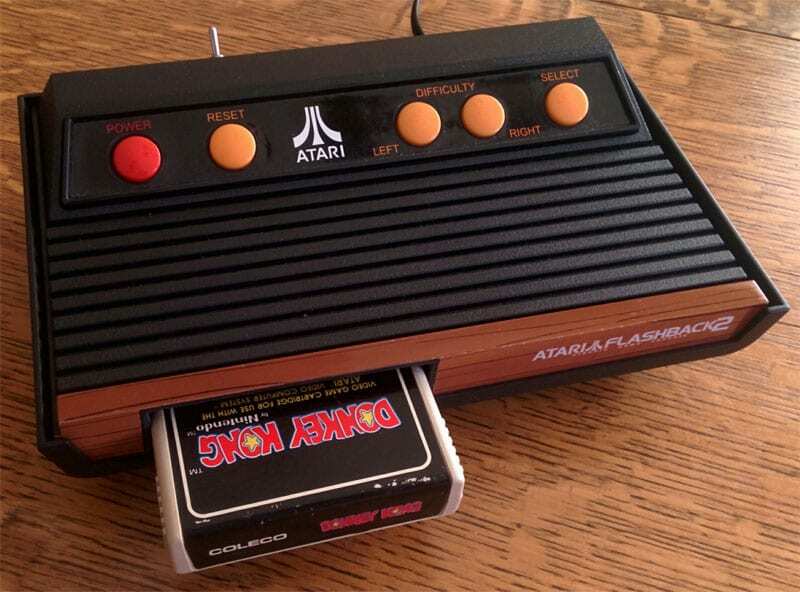 The world changed forever when the Atari 2600 came into our lives – and we’ve never looked back since. This 1977 invention introduced ROM cartridges into the gaming world, which meant that we could play epic video games of our own. It was one small step for video games and one giant step for gamers worldwide. 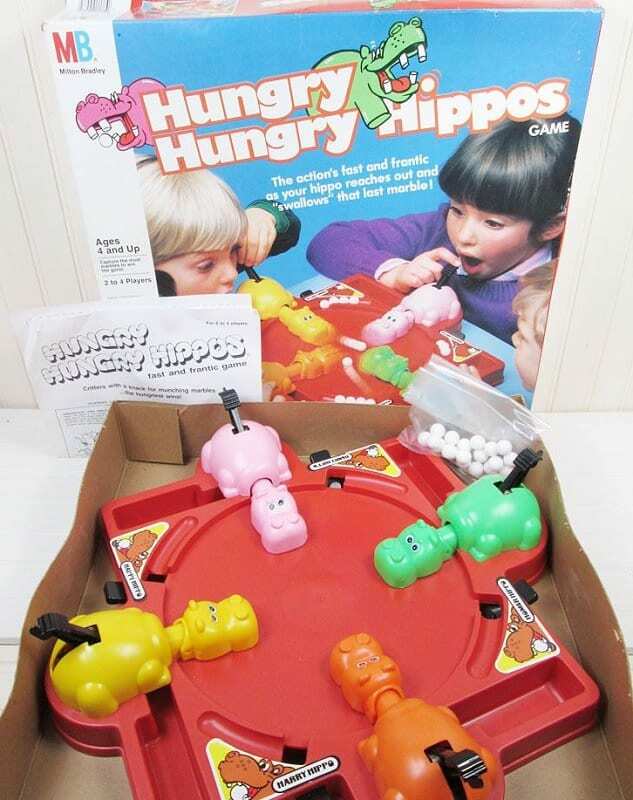 If you were ever feeling hungry and underfed as a child, you could rest easy knowing that you would never be quite as hungry as these ol’ Hungry, Hungry Hippos. Called Picky, Veggie, Sweetie and Bottomless, these guys and girls knew just how to fill their stomachs – but they needed a little help doing so. Sure, the Baby Alive Doll is super creepy now you think about it, but back in the day, these ladies were all the rage. You got the chance to feed your baby, you got to change your baby, and you even got to make sure your baby was well watered. Basically the real thing, right? Hands up if you’ve ever solved a Rubik’s Cube? Well, in 1980, these toys became one of the most lovable yet most annoying toy in existence. 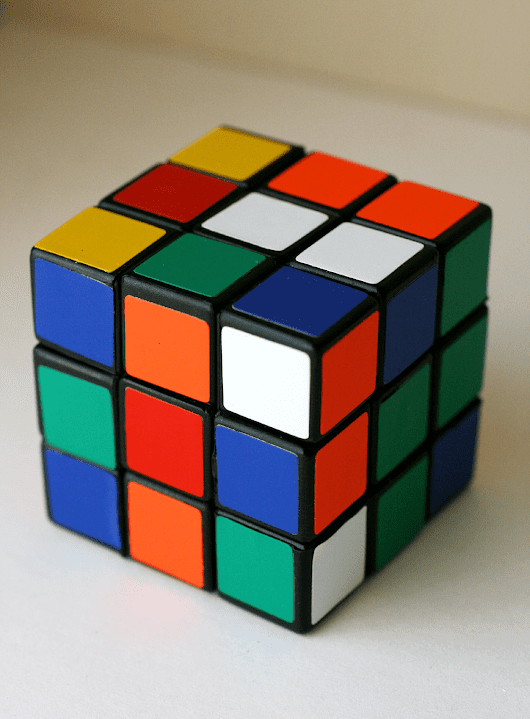 Although you had absolutely no idea how to solve it, you still wouldn’t rest until you’d finished it. You’re probably still twisting today. 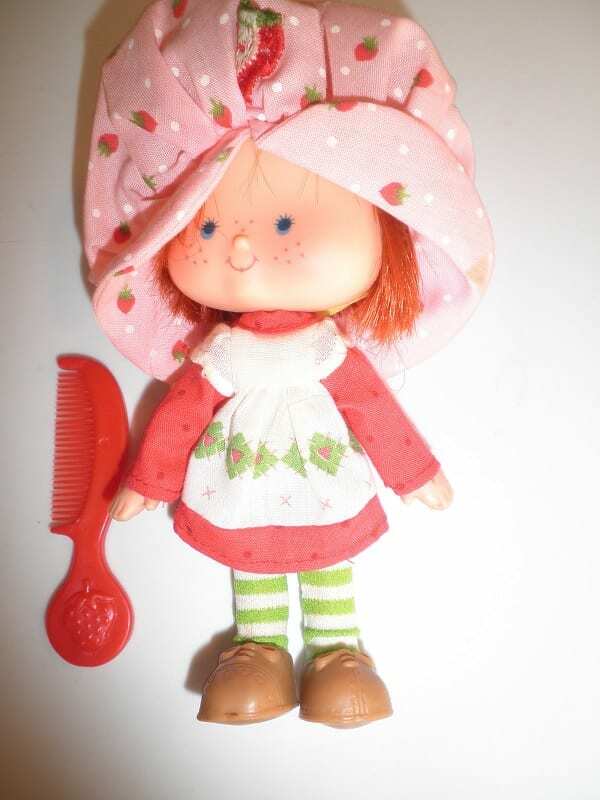 The 1980s saw a rise in the Strawberry Shortcake phenomenon, and everyone wanted a piece of this shortcake. They would buy her adorable dolls with those puffy hats, they would place her stickers all over their coloring book, and they would even play Strawberry’s video game on the aforementioned Atari 2600! 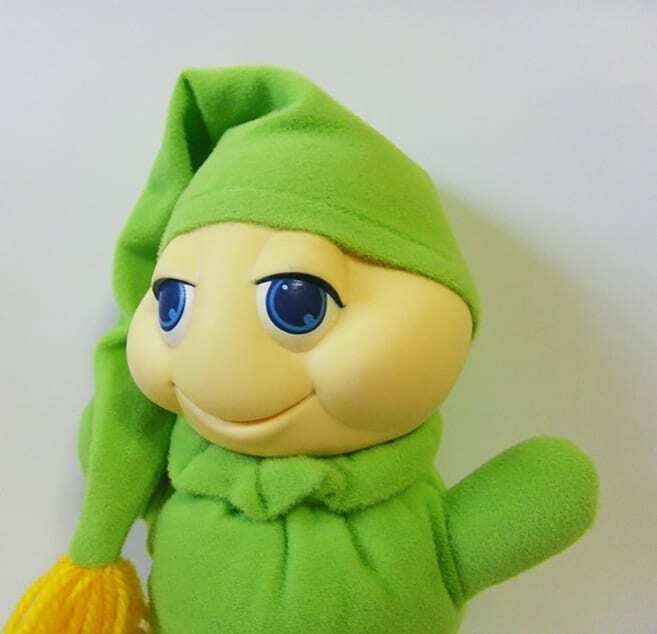 The Glo Worm was the ultimate bedtime toy, and perfect for your childhood self who just didn’t want to go to sleep. As soon as you squeezed his body, the Glo Worm would light up and make you feel all warm and fuzzy inside. It also got you off to sleep pretty qui…Zzzz. 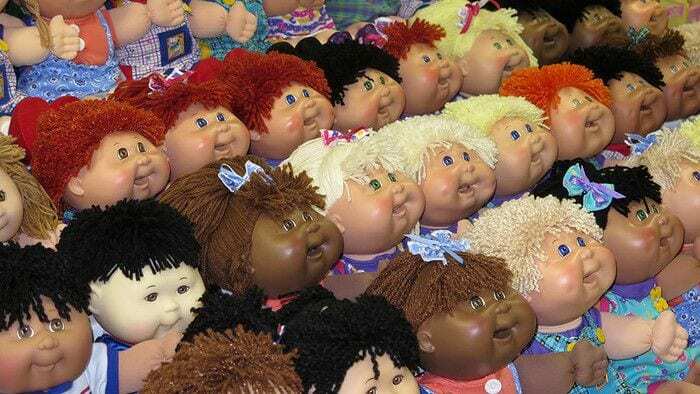 Although they were only introduced to the world in 1983, Cabbage Patch Kids are still one of the most popular dolls in existence – which means they are kind of a big deal. However, we were a little distraught as kids to realize that these dolls weren’t really grown in a cabbage patch. 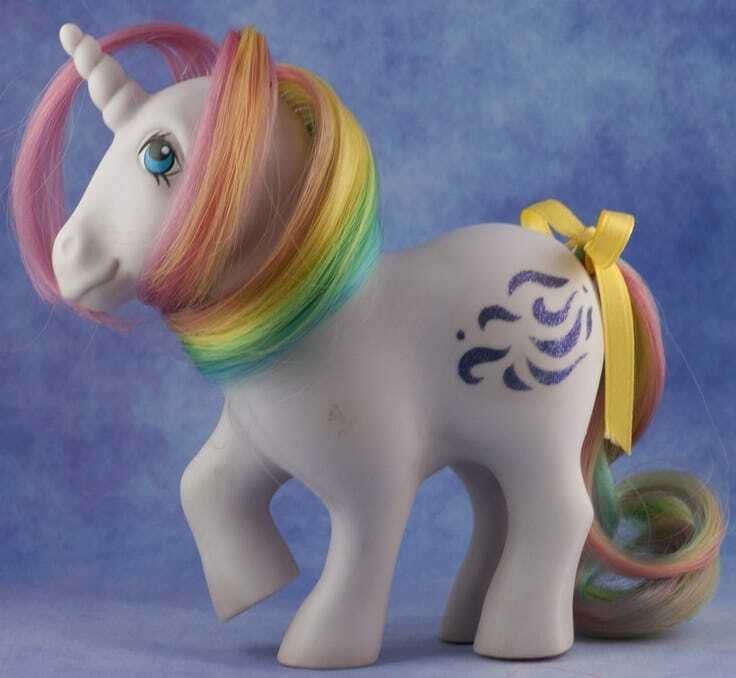 No matter whether you were scared of horses or whether you were completely pony obsessed, there was no way to not love the My Little Pony dolls. With their colorful bodies and manes, their fluffy hair and their rosy cheeks, we spent most of our time making clippy-cloppy noises in our room. Like all children, there was a high chance you were obsessed with puppies during the 1980s. 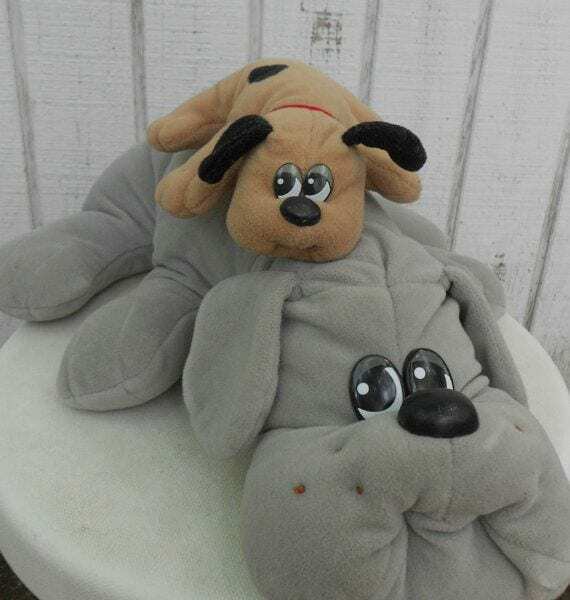 If that was the case, you probably had enough Pound Puppies to form your own puppy daycare. 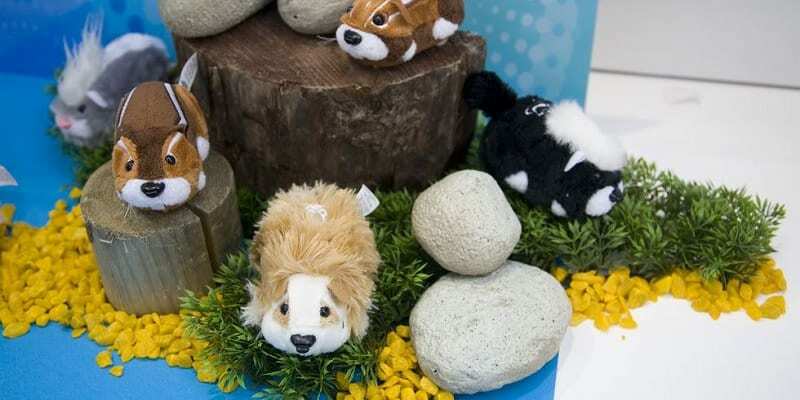 Although we knew they were stuffed, we gave each of these adorable pups their very own name. 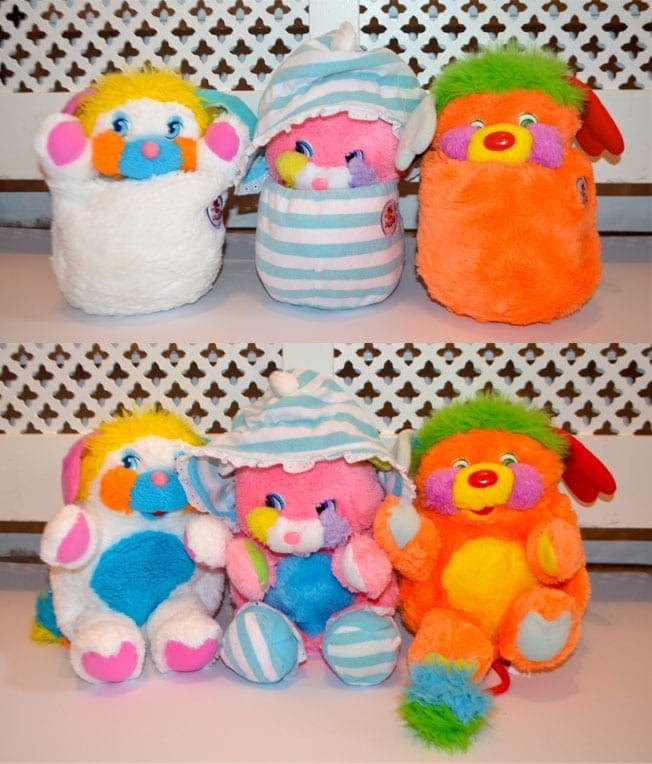 In 1986, the world was introduced to the almighty Popple, and we soon realized just what we were missing in life. After all, we all need furry animals that can transform into Pom-Poms that we can carry around school! These colorful fur-babies were the talk of the town, and we had way too many to count. 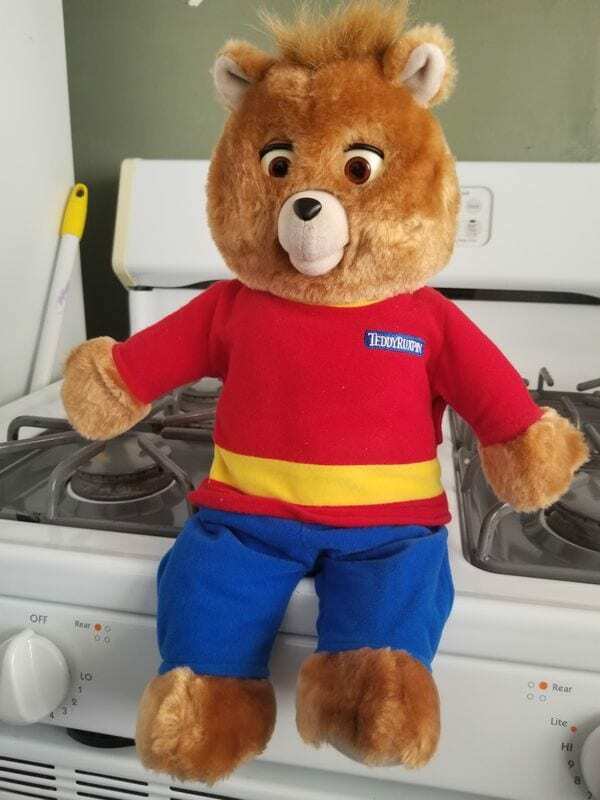 Teddy Ruxpin was the kind of toy that both creeped us out and made us super happy at the same time. Although it was pretty cool to have a teddy that could speak, we often had nightmares of the teddy coming to life and wishing away our lives. That was not so cool. Yes, this was the year. This was the year of the legend! 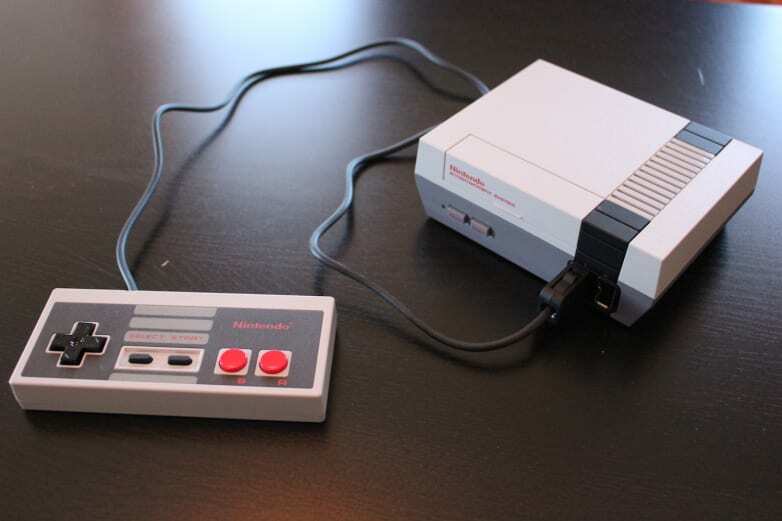 When the Nintendo Entertainment System (or NES) entered our lives, we all fell in love with it. 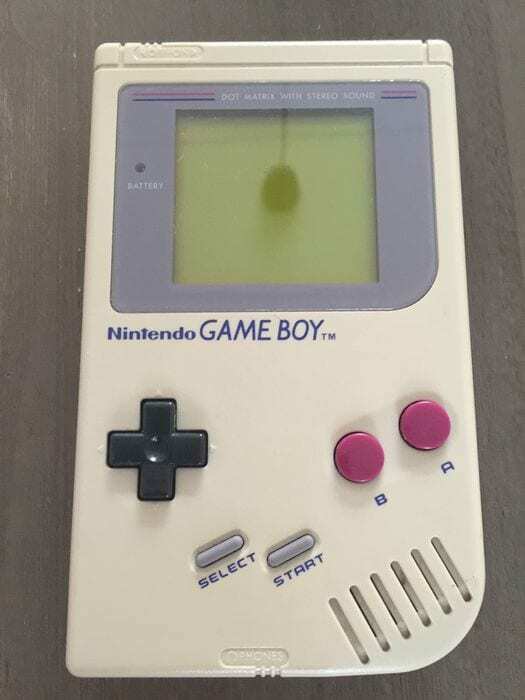 With the ability to play the likes of Super Mario, Donkey Kong and Zelda in our own homes, we have been happy ever since. True story. 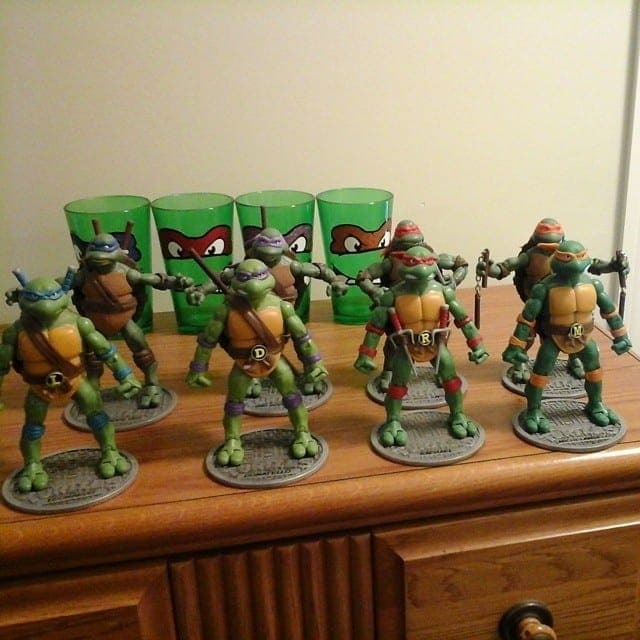 Teenage Mutant Ninja Turtles had already been a huge hit in the world of popular culture before the 1990s, but as soon as their epic movie came out – we all went even more turtlin’ mad. Because of this, we all wanted to join the gang and bought all of the little action figures to feel like we were getting closer to the guys. 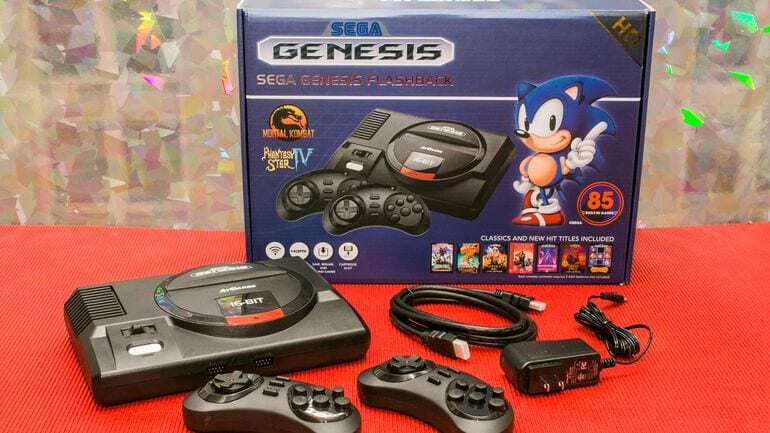 You might know the Sega Genesis as the Mega Drive depending on where you live. This Sega introduction allowed us to visit Sonic and Tails during their rounds in the forest, and we spent hours in front of the television. Since then, we’ve been obsessed, and Sonic is still one of our main pals. During the 1990s, Barney taught us exactly how to love – because if he loves us, then we love him! 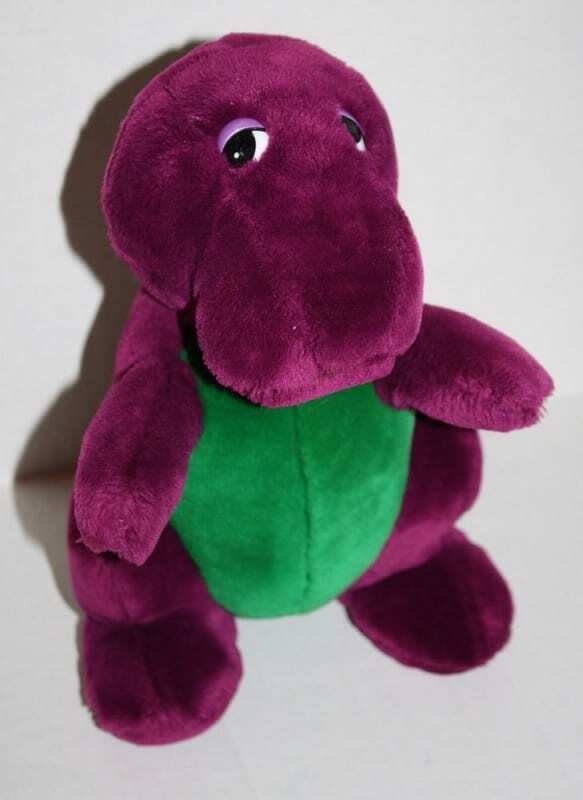 Thanks to the success of his awesome children’s TV show, the Barney Plush became one of the most famous dinosaurs on the ‘90s scene. Okay, he was one of the only dinosaurs on the scene. 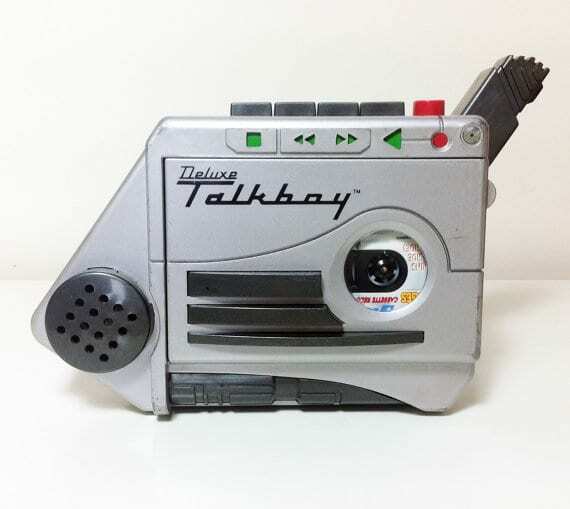 If you cast your mind back to 1993, you might remember the Talkboy being the talk of the town. Pun definitely intended. This cassette player also doubled up as a recorder – and although we had absolutely nothing to record at that age, that didn’t stop us from recording it. Silence is golden, after all. In 1994, the world went wild for little pieces of cardboard that were circular in shape. No, there wasn’t anything more to them – except for the fact that they were emblazoned in artwork and designs. 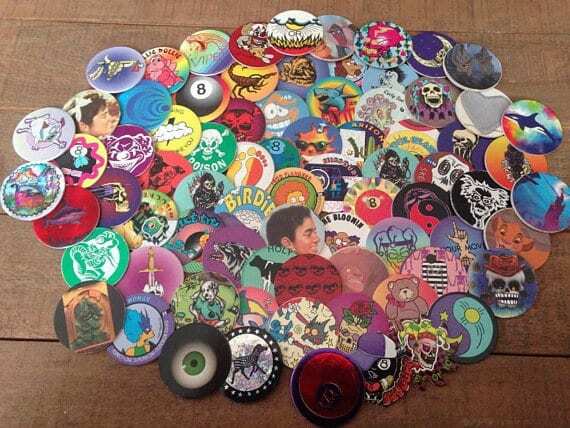 Despite the fact that they didn’t do anything, we couldn’t wait to expand our collection of these Pogs. If you were born in 1995, you probably know exactly how to pull strings and get exactly what you want in life, because you were born in the year of the Sky Dancer! The string from these beautiful fairies just needed to be pulled, and they would be off in the air, dancin’ away. 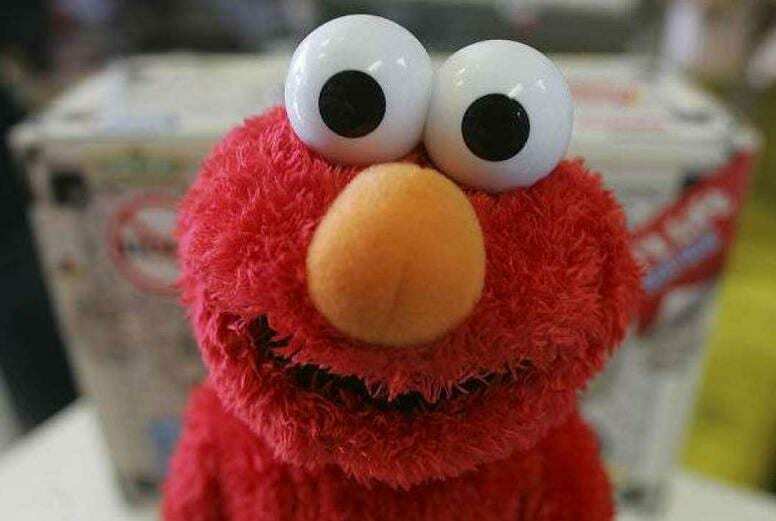 Let’s be honest, not everybody likes being tickled, but Elmo seemed to enjoy it. At least, we thought he did. This adorable plush teddy rose to fame after Rosie O’Donnell showcased his talents on her show, and the world seemed to go mad. In fact, the makers of this toy were laughing when this happened! 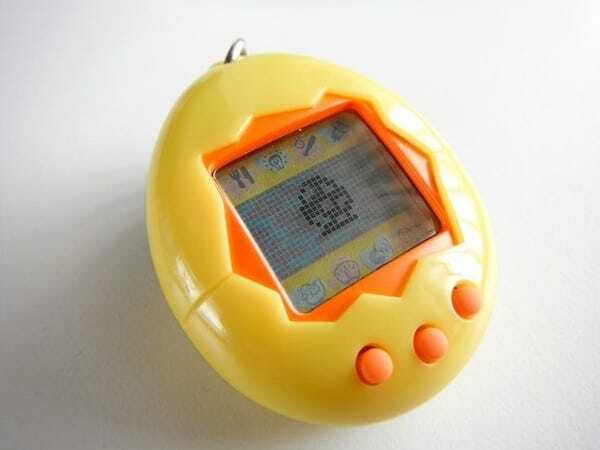 When the Tamagotchi was released in 1997, kids all around the world were taught just how much effort goes into keeping another living being alive. Sure, we struggled to actually keep them alive – but we definitely tried our best. Hopefully, we’ll be a bit more prepared for the real thing. 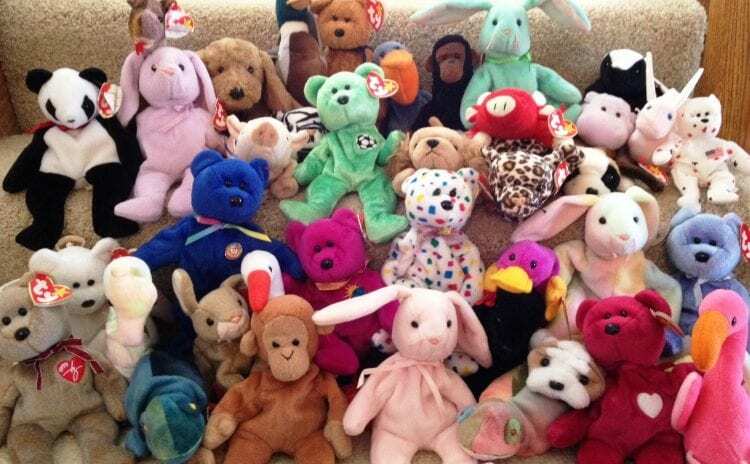 When the world got to 1998, your social status was completely determined by how many Beanie Babies you had in your bedroom. If your bed wasn’t completely covered in the squishy toys, you were at the bottom of the food chain. So, it became your mission to buy every single one that crossed your path. 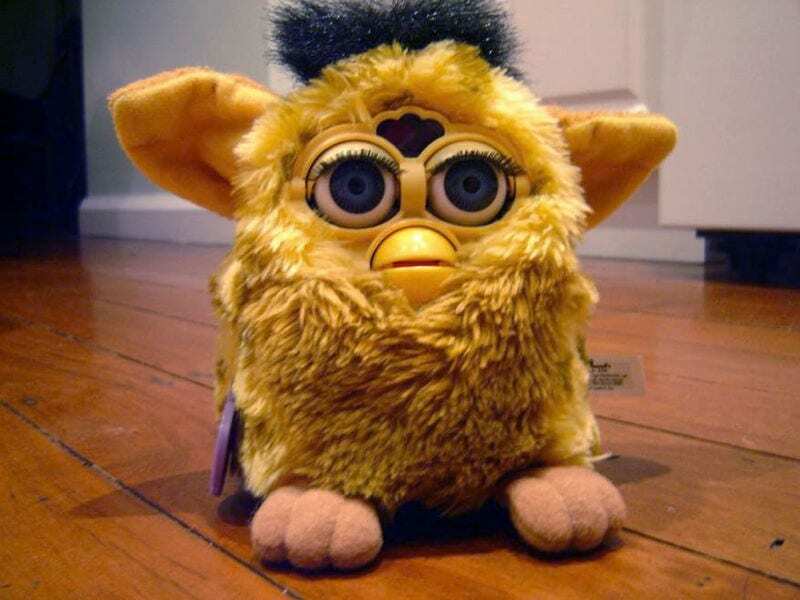 Although Furby’s were supposedly smart and intuitive, this was the reason most of us are still pretty frightened of these fur babies. With their Furbish language, their giant eyes, their colorful fur and long eyelashes, they were meant to be adorable. We can safely say that they definitely weren’t. In the year 2000, the new millennium brought a new form of transport into children’s lives – and we soon became completely obsessed with it. 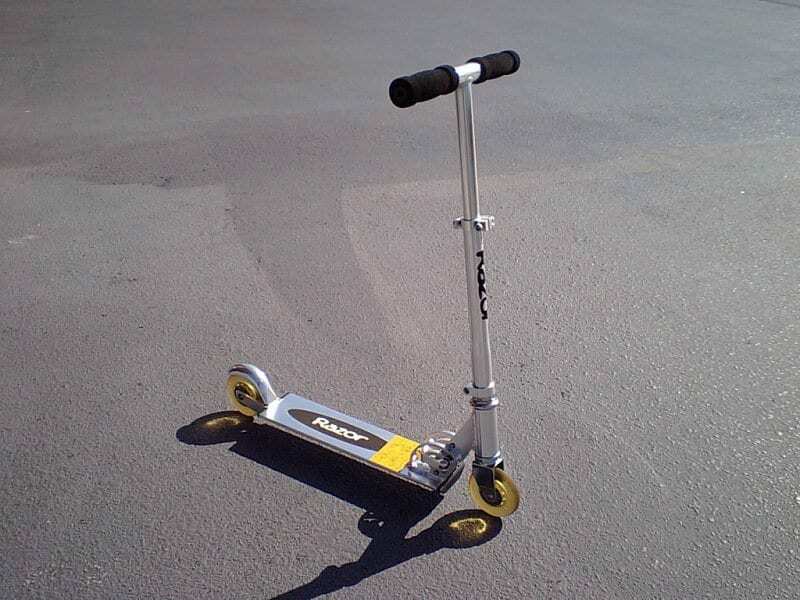 The Razor Scooter allowed kids everywhere to hop on their two wheels and whizz their way around town. In fact, walking became second best when the scooter was around. If you were born in 2001, you have the pleasure of saying that you were born the same year Bratz Dolls came into the world. With their bright, wide eyes, their funky outfits, their luscious locks and their sassy attitudes, the Bratz Dolls gave us Beyonce-style realness that made us ooze with confidence. If you weren’t allowed your very own pet when you were a child, you might have begged your parents for a FurReal Friend instead. These adorable animals were like mini animal-robots who would purr in your lap, move around, and even vibrate to mimic their breathing. They were super emosh. Before the year 2003, we had to take ourselves to the arcades to get our dance on – but that year gave us a brand new invention that allowed us to take it home with us. 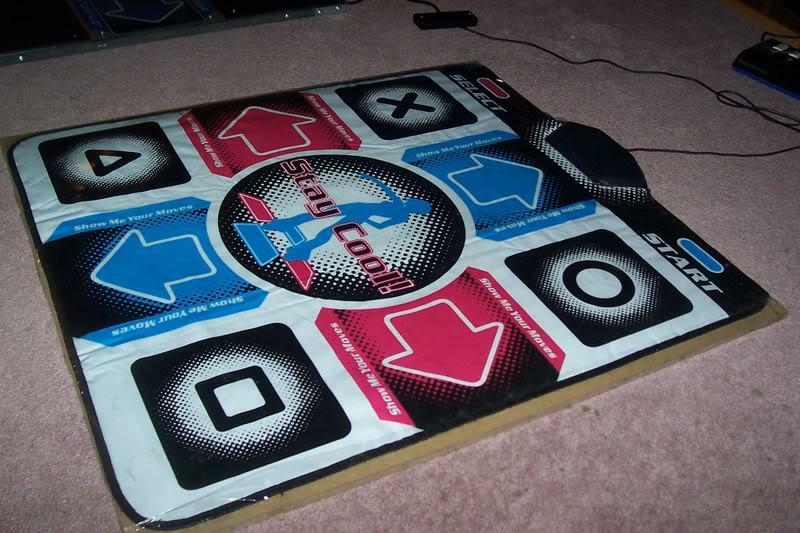 Yes, Dance Dance Revolution was here! We often liked to convince ourselves that we were exercising, but we really weren’t. For some reason, we just can’t get enough of toy robots. 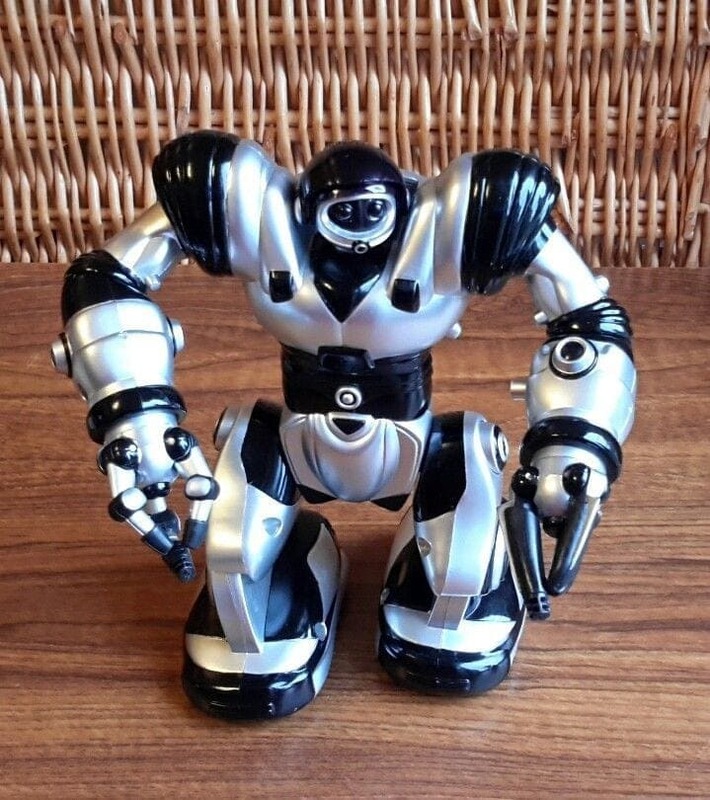 Because of this, we were absolutely over the moon to welcome RoboSapien into our lives in 2004. With more than 60 functions to its name, this dude or dudette could walk, crouch, and even bottom burp! What more could you want? 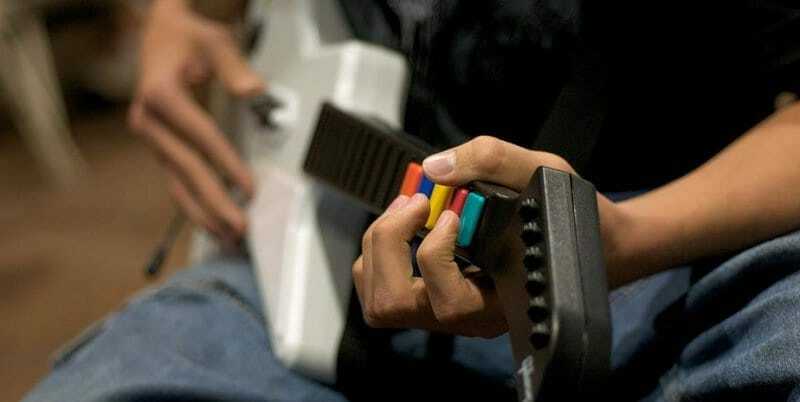 If you were born in 2005, you share your birthday with Guitar Hero – and that is definitely a big deal. You didn’t need to be the new Jimi Hendrix to play this game, which meant that children from all walks of life could rock out to the Foo Fighters on a regular basis. 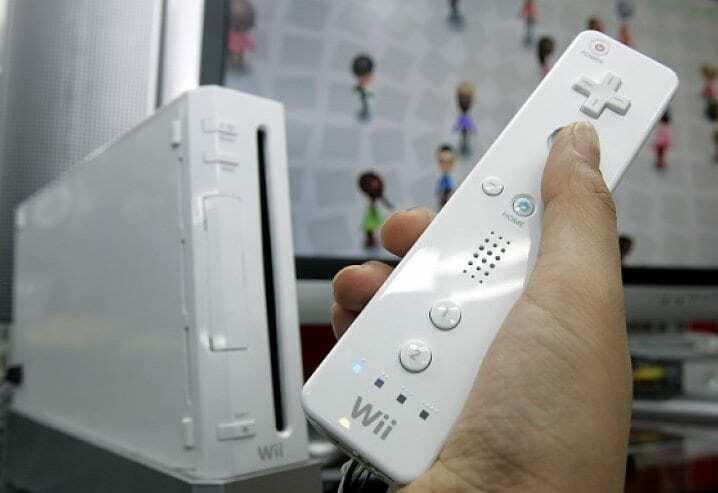 In 2006, Nintendo ditched the average video console controller and opted for its first motion-sensored remote – and it’s fair to say that the response was a mixed bag. While some people loved being able to play tennis in their living rooms, there were smashed television screens across the world that weren’t as happy. Luckily, Nintendo got that problem fixed pretty quick! 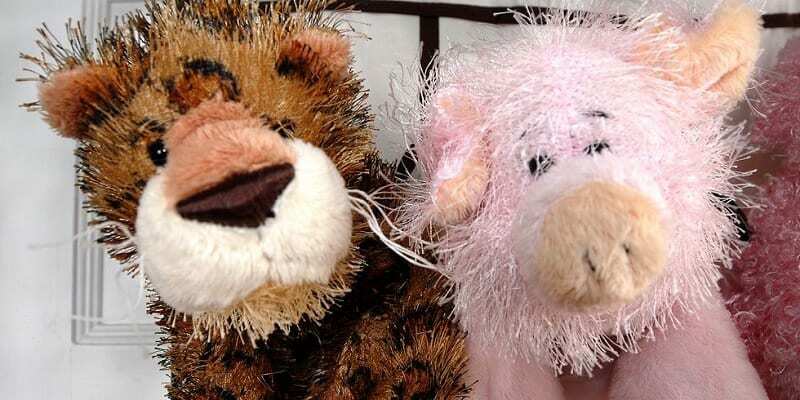 When you looked at them in the toy store, these Webkinz dolls didn’t look any different to other stuffed animals on the shelf. They were scraggly, they were kind of adorable, and they were also kinda creepy – but they also came complete with a special code that linked up to their awesome website. 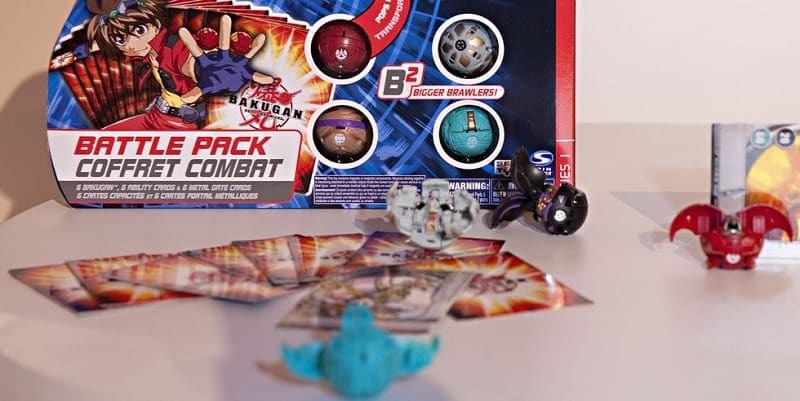 Although we were all pretty obsessed with Pokemon, Bakugan was a close second during the late ‘00s. These Japanese toys came complete with plastic spheres with secrets inside, as well as epic playing cards that you can trade. They don’t look like much, but they were super fun. In 2009, you just had to shell out $7.99 to change your life completely, because Zhu Zhu Pets were the underrated saviors of this year. With robotic wheels that took them around your room, you could watch an adorable little hamster wander around your room without all of the smelly mess. 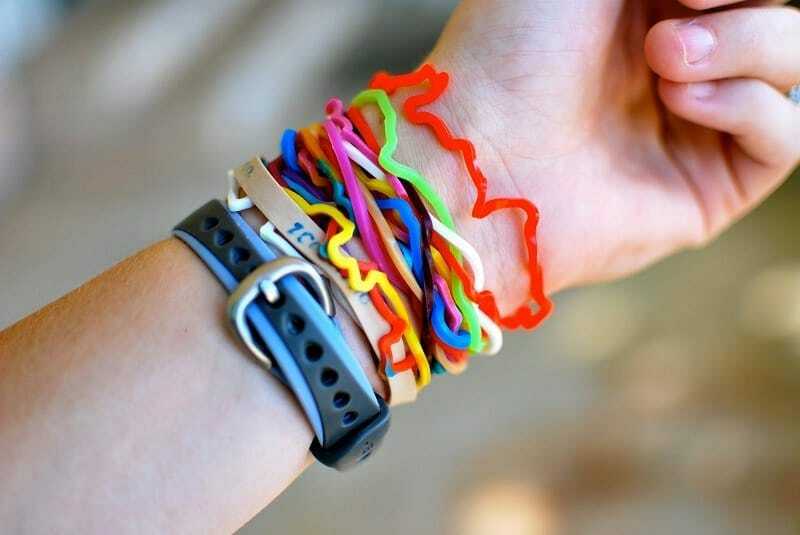 The aim of 2010 was to collect as many Silly Bandz as you possibly could. With shapes such as dinosaurs, princesses, and cowboys, these bands straightened out as soon as you placed them on your hand. Because of this, you had to cover your whole arm. There was no other option. 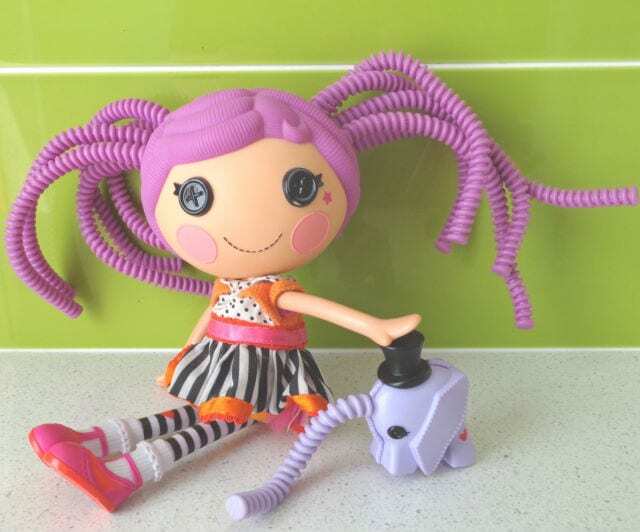 For some reason, we can’t get enough of dolls that have crazy hair – which is why the Lalaloopsy Silly Hair Dolls proved so popular in 2011. 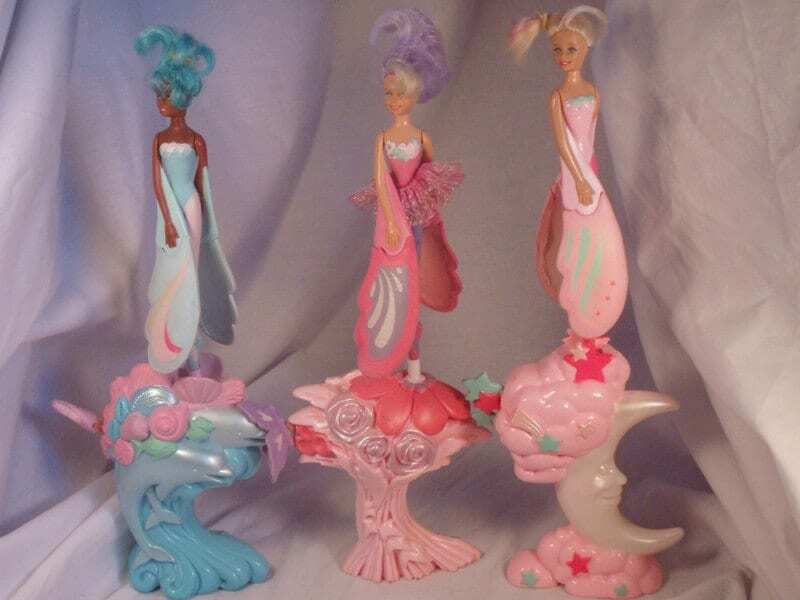 With plastic hair that could be twisted and turned in every direction, these dolls were both beautiful and bonkers, but of course we had ten of them. 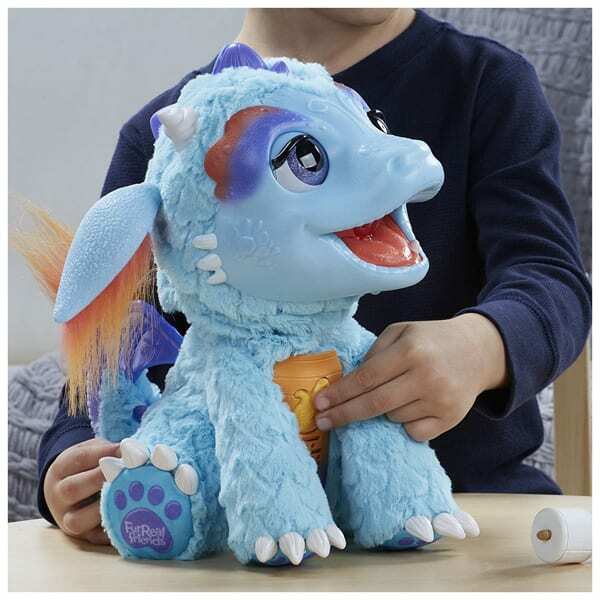 Those who were born in 2012 had the pleasure of sharing their birthday with the awesome Skylanders toy – which is even more exciting if you are now a video game fan. These toys brought the action-packed video game to life and allowed fans to get up close and personal with the main characters. 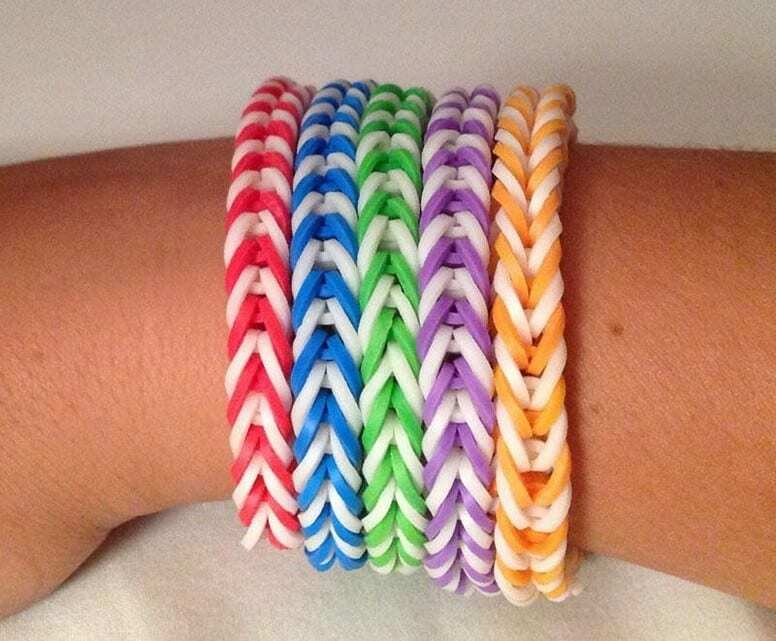 In 2013, teenagers around the world flocked in their millions to the local store to stock up on colorful rubber bands. Only then could they put their arty skills into practice and create a beautiful Rainbow Loom. Although they smelled a little weird, they looked pretty darn cool on your wrist. For some reason, we just couldn’t let go of our obsession with the Disney animation, Frozen. 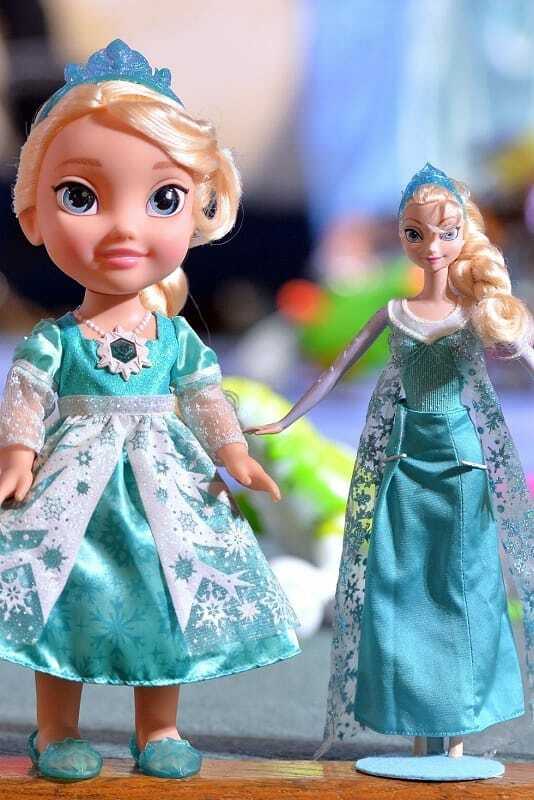 Although Anna is a princess we can really connect with, Elsa is definitely the star of the show. Because of this, we all tried our hardest to get our hands on an Elsa doll in 2014. It had to be done. Why is everything so much cooler when its tiny? Well, we’re not too sure, but Shopkins filled out hearts with happiness when they were released in 2015. 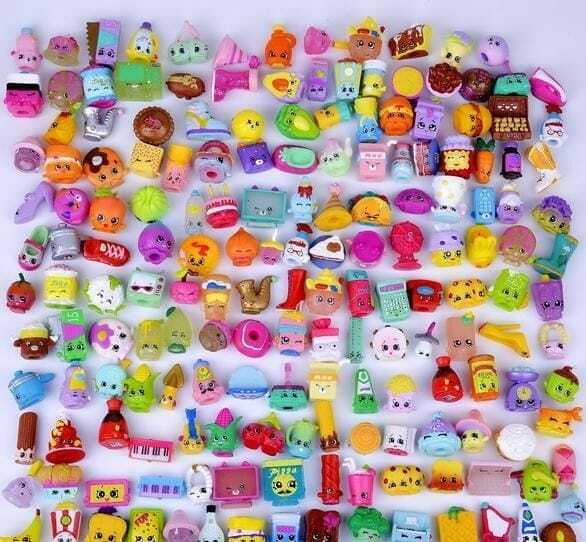 With their adorable little faces, their cute products, and their tiny foods, Shopkins were the perfect addition to any kids’ kitchen. 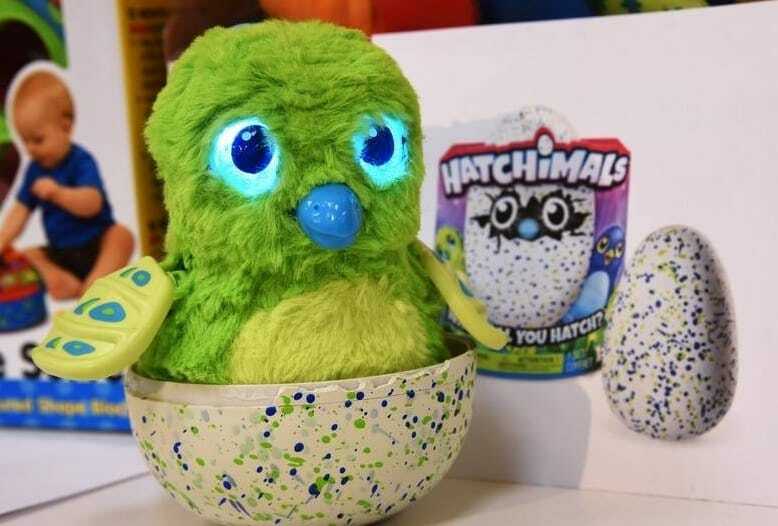 In 2016, the world went mad over the new toy craze, the Hatchimal. The toys inside of these gorgeous eggs were enough to make your heart melt, but it was the process of hatching these toys that got us all smiling all over. You gave it a good rub! 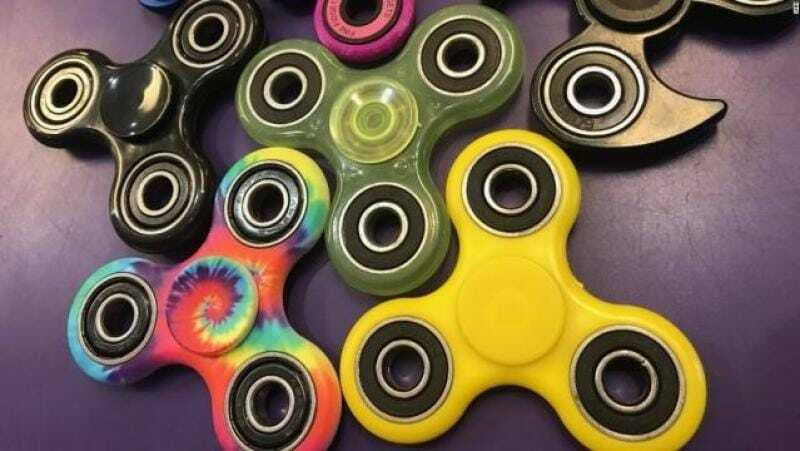 Unless you’ve been living under a rock for the past year, you’ll know that Fidget Spinners have been the toy of 2017. Although they were created to help distracted kids to focus in class, they later became an everyday staple. However, they’ve since spun out of the spotlight.